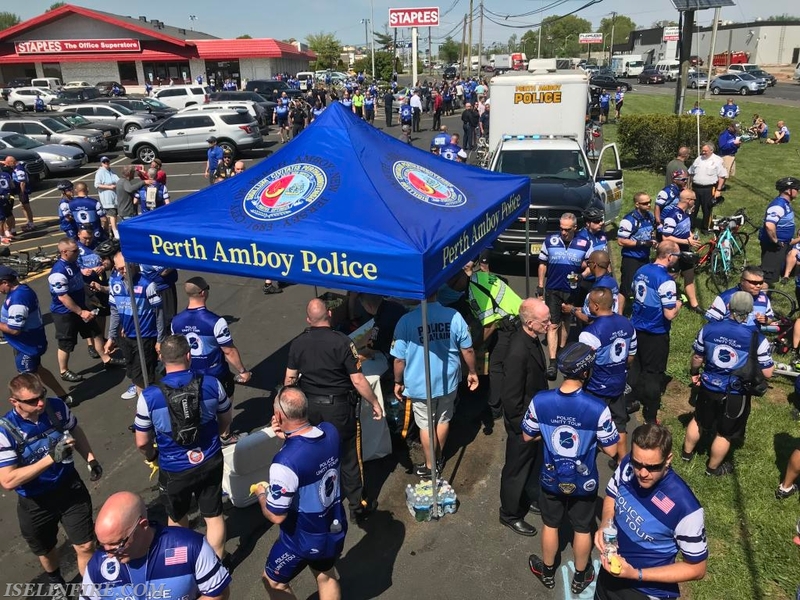 Iselin District 9 Firefighters joined with the Police Unity Tour Officers to Display the American Flag over the Memorial Site of Perth Amboy Patrol Officer Thomas Raji. This is the 10 Year Anniversary of his passing. The Police Unity Tour Travels from Ground Zero to Washington DC and makes Memorial stops along the way. 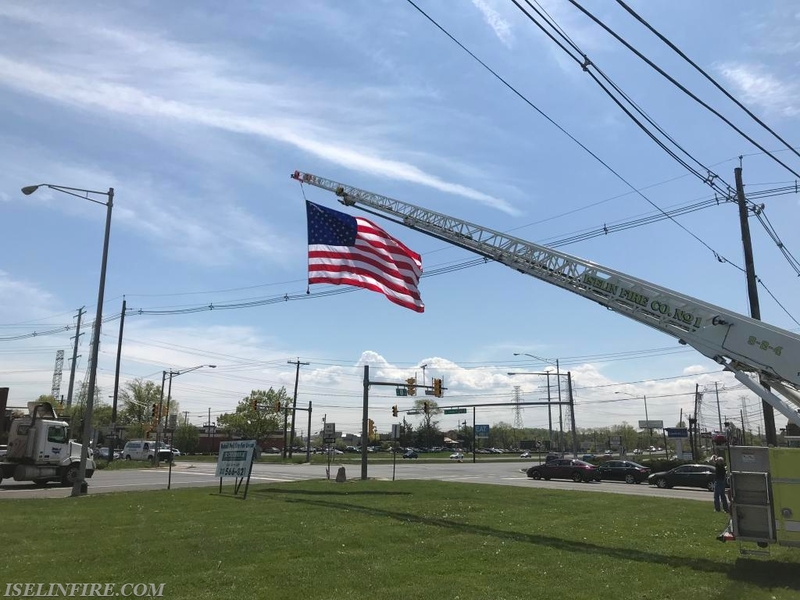 Truck 9-2-4 Displaying the American Flag at the corner of Green Street and Route 1 South. 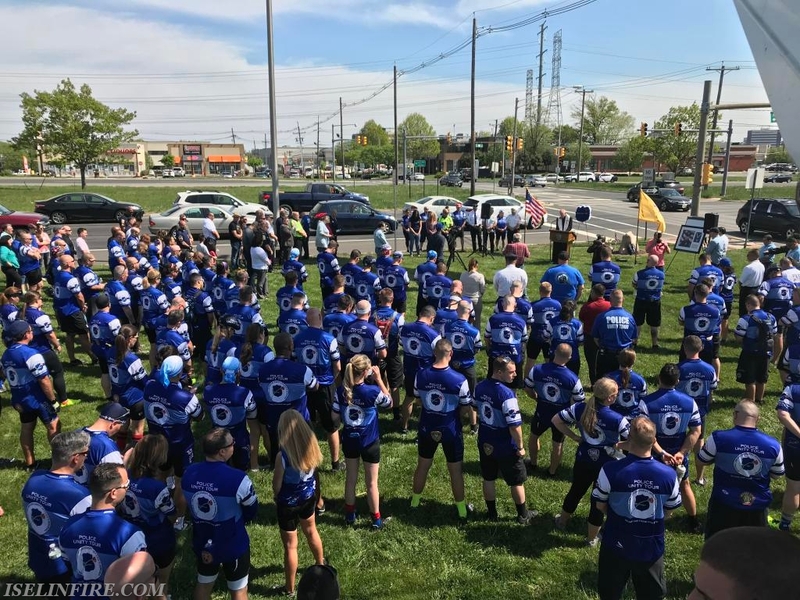 Cyclists from the Police Unity Tour getting their water. Memorial Service for Perth Amboy Patrol Officer Thomas Raji.